Eye in Amsterdam is the seat of the Dutch Film Institute. Vienna,. 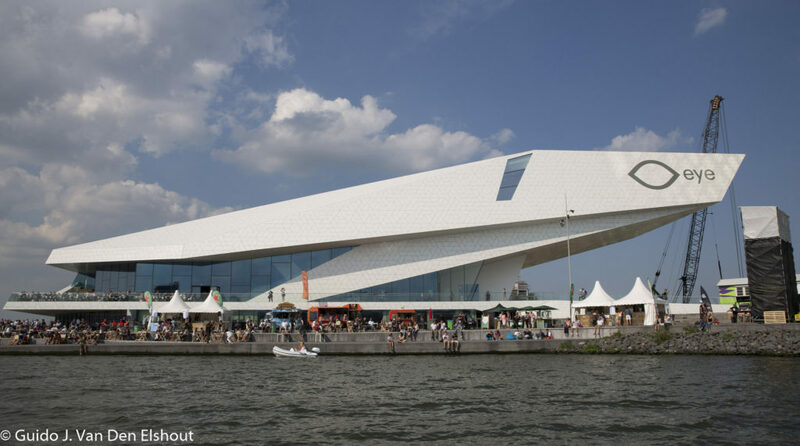 Austria based Delugan Meissl Associated Architects designed the Eye Film Institute of Amsterdam. 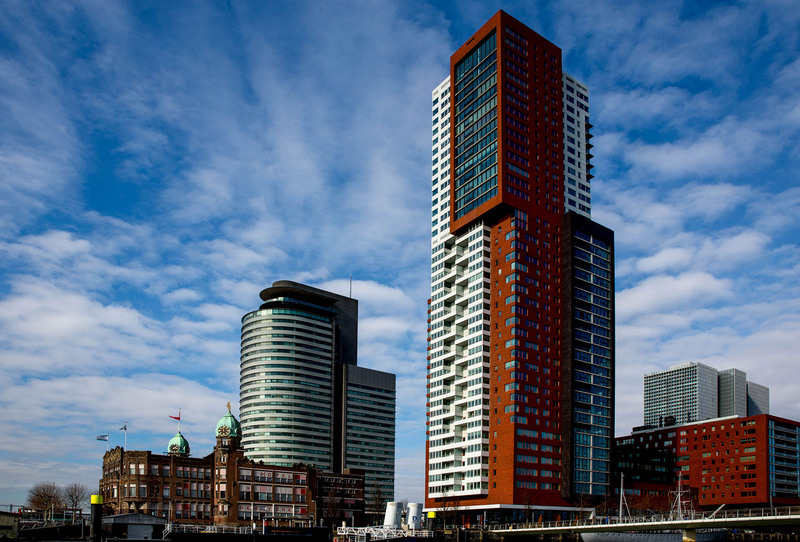 Hotel New York in Rotterdam embedded between high rises. It used to be the passengers terminal for the Holland – Amerika Line. This is Post # 1,000 of this blog. Apt subject. as the making of this hotel in Rotterdam inspired me to create my small hotel / B & B Haagsche Suites in The Hague later. 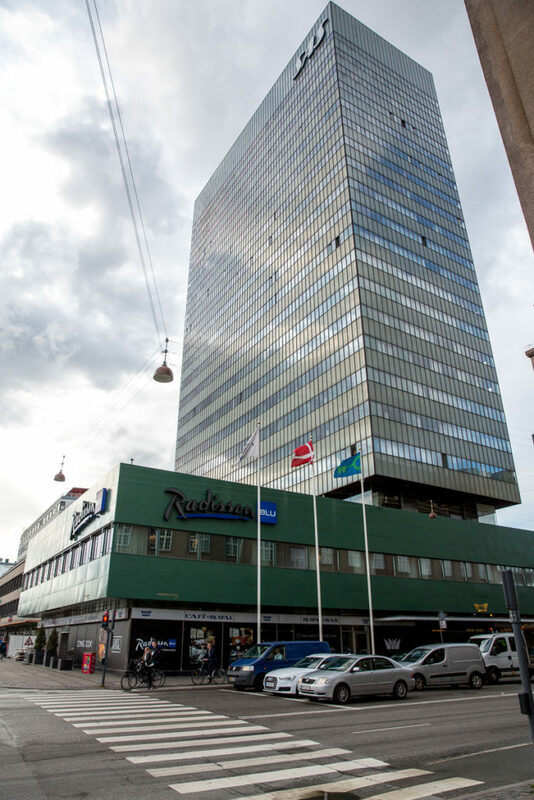 The highest highrise here is the Montevideo building by Francine Houben. Left Highrise is WorldPortCenter by Norman Foster. On 14 July 1988, President François Mitterrand announced the construction and the expansion of one of the largest and most modern libraries in the world, intended to cover all fields of knowledge, and designed to be accessible to all, using the most modern data transfer technologies, which could be consulted from a distance, and which would collaborate with other European libraries. Book and media logistics inside the whole library was planned with an automated 6.6 km Telelift system. Only with this high level of automation, the library can comply with all demands fully in time. Due to initial trade unions opposition, a wireless network was fully installed only in August 2016. In July 1989, the services of the architectural firm of Dominique Perrault (www.perraultarchitecture.com/en/homepage) were retained. 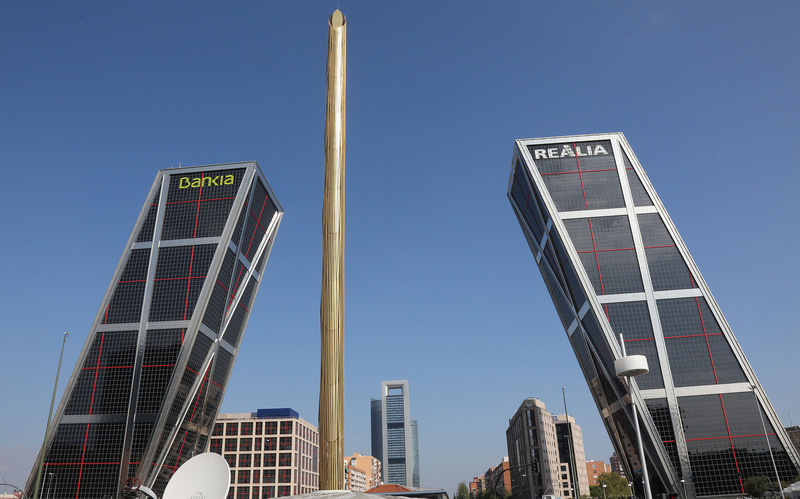 The design was recognized with the European Union Prize for Contemporary Architecture in 1996. The construction was carried out by Bouygues. Construction of the library ran into huge cost overruns and technical difficulties related to its high-rise design, so much so that it was referred to as the “TGB” or “Très Grande Bibliothèque” (i.e. “Very Large Library,” a sarcastic allusion to France’s successful high-speed rail system, the TGV). After the move of the major collections from the rue de Richelieu, the National Library of France was inaugurated on 15 December 1996. 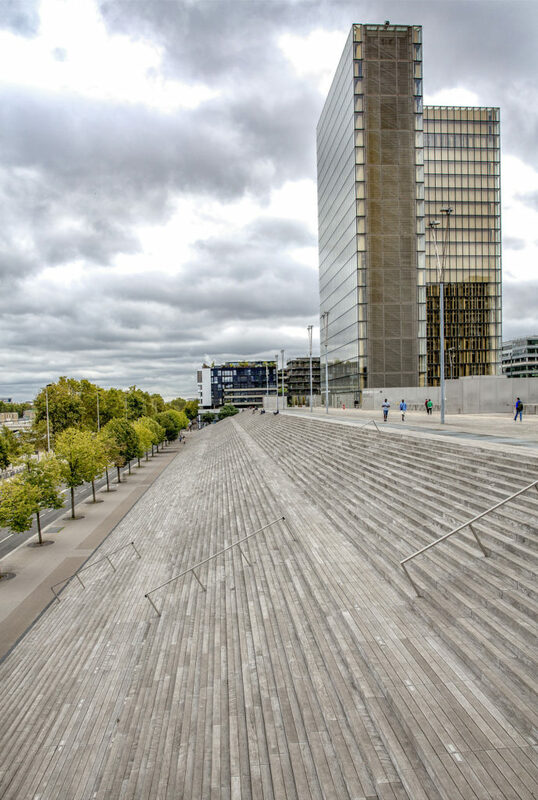 As of 2016, the BnF contains roughly 14 million books on its 4 parisian sites (Tolbiac, Richelieu, Arsenal, Opéra) as well as printed documents, manuscripts, prints, photographs, maps and plans, scores, coins, medals, sound documents, video and multimedia documents, scenery elements…” The library retains the use of the rue de Richelieu complex for some of its collections.